A-HOTEL.com - Luxury and cheap accommodation in Tiurula, Russia. Prices and hotel, apartment booking in Tiurula and surrounding. This indicative offer was derived from the most recently booked accommodation in Tiurula and sort by the price, from cheapest Tiurula accommodation to the most expensive hotels. To select accommodation by your preferences we recommend to choose from 5 accommodation offers in Tiurula in total. By entering the dates of your overnight stay in Tiurula and using the filter tools you can sort the best possible accommodation for you. The entered dates of your stay are crucial for the most accurate offer as it derives all the online information on pricing and availability of Tiurula accommodation. Then you can book the selected Tiurula lodging (hotels, apartments etc.) immediately. Dom u Arkhipycha is located in Tiurula and offers barbecue facilities, a garden and a terrace. The holiday home is in an area where guests can engage in activities such as fishing and hiking. Boasting ski-to-door access, Country House Kilpola provides accommodation in Tiurula with free WiFi and lake views. The holiday home is in an area where guests can engage in activities such as skiing and fishing. Set in Tiurula, Lippola features accommodation with a flat-screen TV and a kitchen. A terrace with mountain views is offered in every unit. Recreation center " Kanapelka "
With lake views, Recreation center " Kanapelka " has accommodation with a kitchen situated in Tiurula. Complimentary WiFi is offered. Set in Tiurula, Boiarinov Dvor offers accommodation with a terrace. Each of the units consists of a living room, a well-equipped kitchen, and a private bathroom with shower. 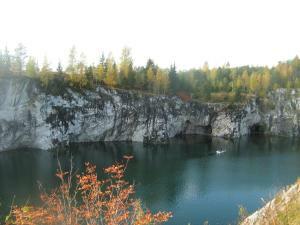 Asilan Guest House is located in Asilan village in Karelia, within 300 metres of Ladoga Lake. Sauna and free private parking are available on site. Mishkina Skazka offers pet-friendly accommodation in Kulikovo. There is an equipped kitchenette. Kurkiyoki Cottages offers pet-friendly accommodation in Kurkiyoki. Free private parking is available on site. Situated in Kurkiyoki, Usadba Larsa Sonka features a garden and a terrace. All rooms feature a kitchen, a TV with satellite channels, and a shared bathroom. Featuring accommodation with a terrace, Dom na gore is situated in Kurkiyoki. Housed in a building dating from 2014, the country house is in an area where guests can engage in activities such as skiing, fishing and hiking. Set in Tounan in the Karelia region, Cottage Karelia has a terrace and lake views. Guests staying at this country house have access to a fully equipped kitchen. Guesthouse Lambushka in Khiitola features a terrace and a shared lounge. Featuring a tour desk, this property also provides guests with a restaurant. Offering a barbecue and sauna, Baza Otdyha Ladoga Ozero is situated in Brigadnoye in the Leningrad Region. Free private parking is available on site. Offering a private beach area and free WiFi, Korela is located in Burnevo. Free parking is available on site. Inn Tihaia Gavan features accommodation in Burnevo. With a garden, the property also has a terrace. Situated in Yarkoye, Holiday Park Yarkoe provides free WiFi, and guests can enjoy ski-to-door access and barbecue facilities. Some units feature a terrace and/or a balcony with lake views. Design Hotel Friends Priozersk features free WiFi and views of city in Priozersk. All rooms boast a flat-screen TV with cable channels and a private bathroom. Located in the central sqaure of Priozyorsk, Korela Hotel features free WiFi. All rooms offer a fridge, TV and private bathroom with a heated floor and free toiletries. Located in Priozyorsk, Kexholm Hotel features a terrace and a sauna. Free WiFi and free parking are provided on site. Located in Priozersk, Mini-Hotel Uyut features free WiFi. The accommodation provides a 24-hour front desk.